Native to the Mediterranean region, spearmint (Mentha spicata) has been used for thousands of years as a culinary ingredient and fragrance in cosmetics. 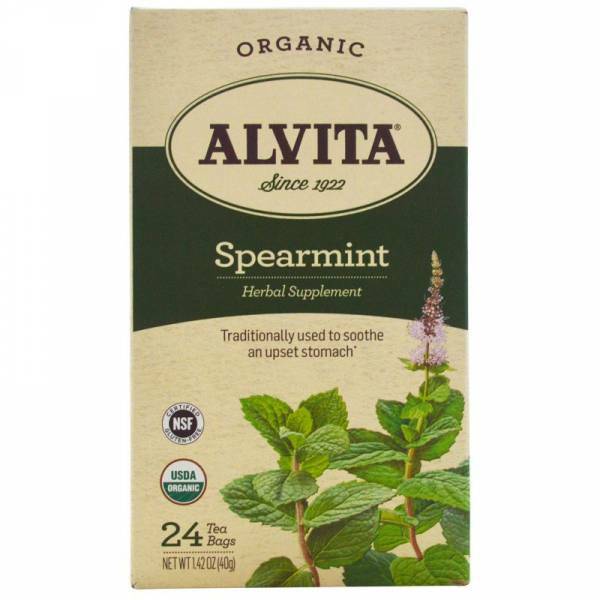 However, spearmint is perhaps most esteemed among herbalists for its traditional use to soothe an upset stomach. Alvita Spearmint Tea is made with premium-quality, organic spearmint leaves, and bears a delicate mint flavor and aroma with just a hint of sweetness.